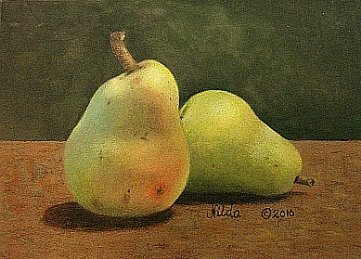 Florida artist, Nilda Rodriguez, is a multi-media, working artist, teaching and traveling regularly for the Society of Decorative Painters and her own studio, Tolebrush. 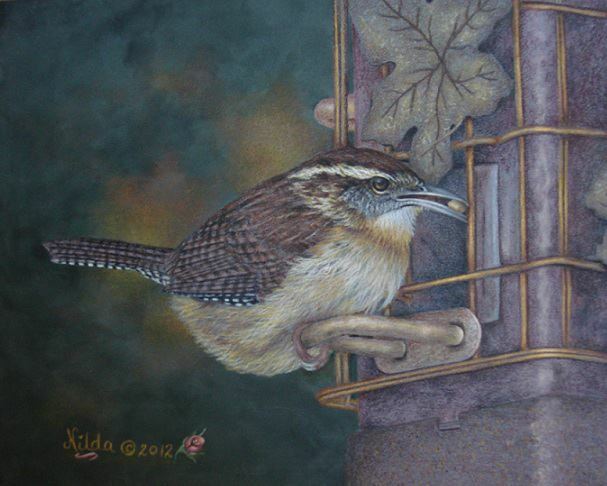 Nilda’s love of art began at a very young age, drawing family portraits. Her painting began when a friend took her to tole painting classes. Working in acrylics became her steady medium for years while she learned how to use oils from videos and her own steady practice. 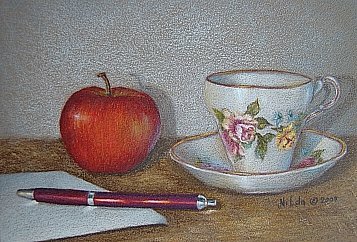 In 2007, though, Nilda took on colored pencil. With her natural gravitation to drawing, the medium came easy to her and she had her work with instructions published in The Decorative Painter, the official magazine of the Society of Decorative Painters. Since then, she has had many other projects published and continues to work in all three mediums regularly. Use light pressure when applying the layers of pencil. To release some of the pressure on your surface, try holding your pencil further away from the tip. Holding the pencil very close to the tip gives you more control, but places more pressure on the surface. Use a well sharpened point. Working in circles can allow one to rotate the pencil to always have that freshly sharpened point. 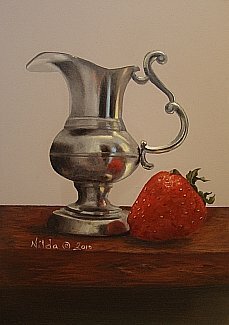 Nilda finishes her work by burnishing with a colorless blender or Gamsol and then applying a few more layers of pencil. She uses the Grumbacher Acrylics and Oils final varnish in a spray coat and the varnishes with JW Right Step Gloss Varnish applied with a soft cloth.